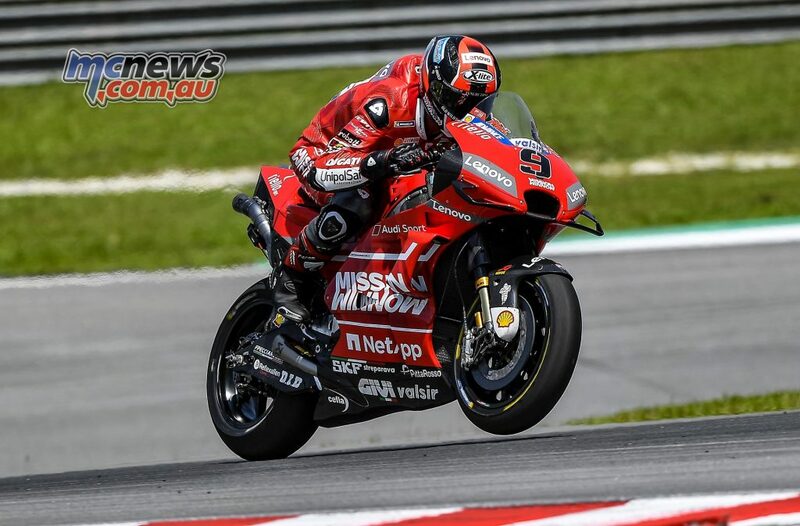 The final day of the three-day 2019 MotoGP pre-season test at Sepang is hotting up with with times now tumbling and a new outright (unofficial) fastest ever motorcycle lap of the Malaysian circuit by Danilo Petrucci. 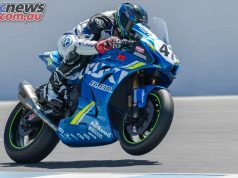 He is not the only one under previous benchmarks though as it is a Ducati 1-2-3-4 at the top of the timesheets with five hours still remaining. 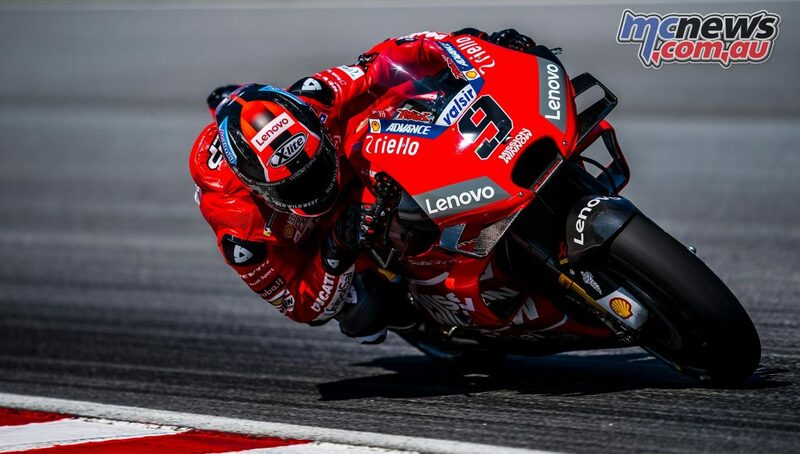 Incredibly, rookie rider and Moto2 World Champion Francesco Bagnaia, onboard the satellite Alma Pramac Racing Ducati is currently second on the timesheets. Jack Miller is currently third ahead of Andrea Dovizioso while day two dominator Maverick Vinales is fifth ahead of Cal Crutchlow. There is still 5 hours remaining for today’s testing so we may see times drop further. We’ll have the complete times for the day published later on so stay tuned.